It's no secret. 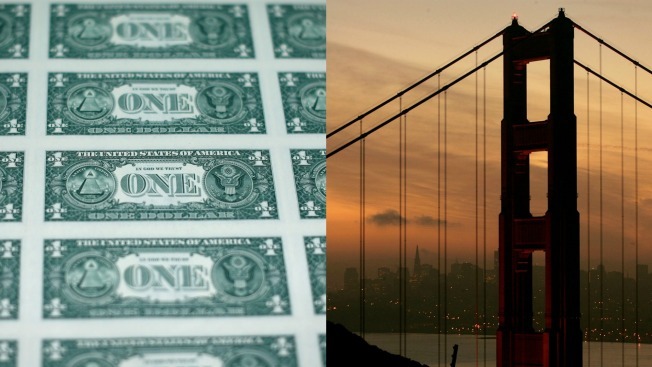 The Bay Area grows increasingly expensive by the day. What may come as a surprise — or not really at this point anymore — is that six-figure salaries in some Bay Area locations classify families as being low income. That's right. In Marin, San Francisco and San Mateo counties, a family of four earning $105,350 is considered to be living at the low income limit, according to the U.S. Department of Housing and Urban Development. That's because the median income in those regions has soared to $115,300. A "very low" income mark in those three counties equates to a family of four earning $65,800, according to the data. "Extremely low" income means that same family is only bringing in $39,500. Folks living in the Bay Area's six other counties aren't experiencing much of a financial break either. A family of four living in Alameda and Contra Costa counties tallying $80,400 per year is labeled as low income, according to the data. In those spots, the median income for a family of four has jumped to $97,400. A family of four in Santa Clara County is considered to be low income if they bring in $84,750. The median income in the South Bay currently sits at $113,300. The low income line for a family of four drops slightly for those in Napa ($74,500), Solano ($64,300) and Sonoma ($70,500) counties, according to the data.